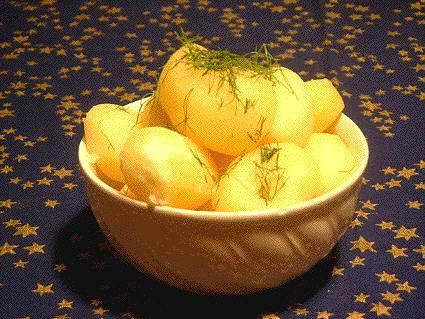 Place the potatoes in a pot and add water and some salt. Reduce the heat and simmer for about 25 minutes or until the potatoes are tender. Drain the potatoes and decorate them with parsley.